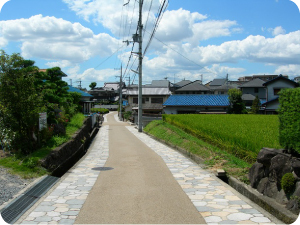 This is recommendable course which you can enjoy plenty of Minoh sights.You can walk around relaxedly in a day. 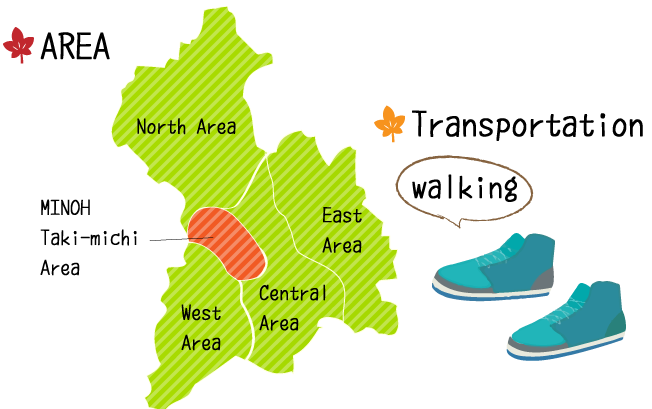 Let’s get a guide map and start sightseeing. You can get information for sightseeing of Minoh in the tourist desk next to the Minoh Station of Hankyu Rail Way.You will find information of seasonal events and maps in various languages. 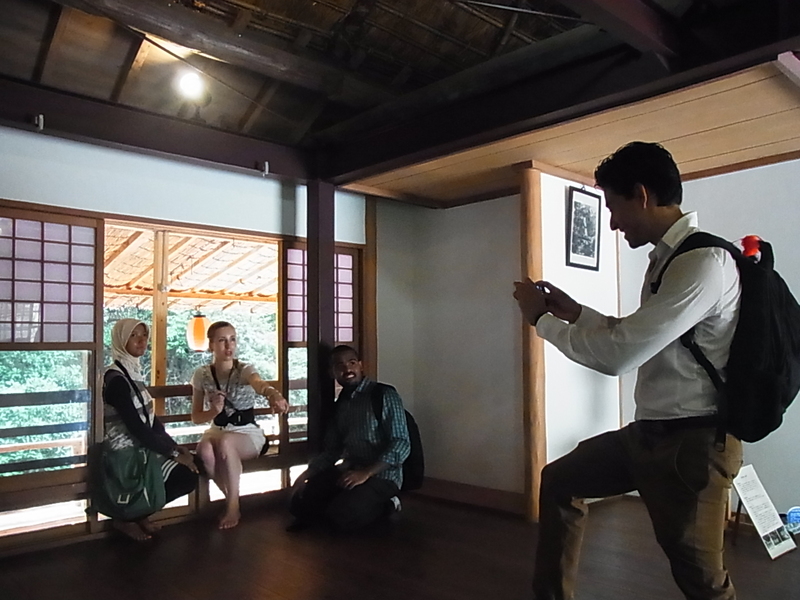 “Kesou-bumi “(an ancient love letter) will bring you a wonderful encounter. 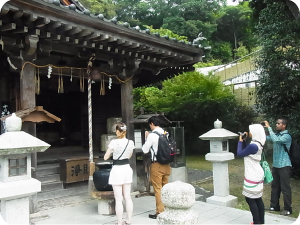 At first, let’s go to “Syoutengu Saiko-ji Temple” which has a long history through the “Nakanosaka” (a previous road approaching the temple). 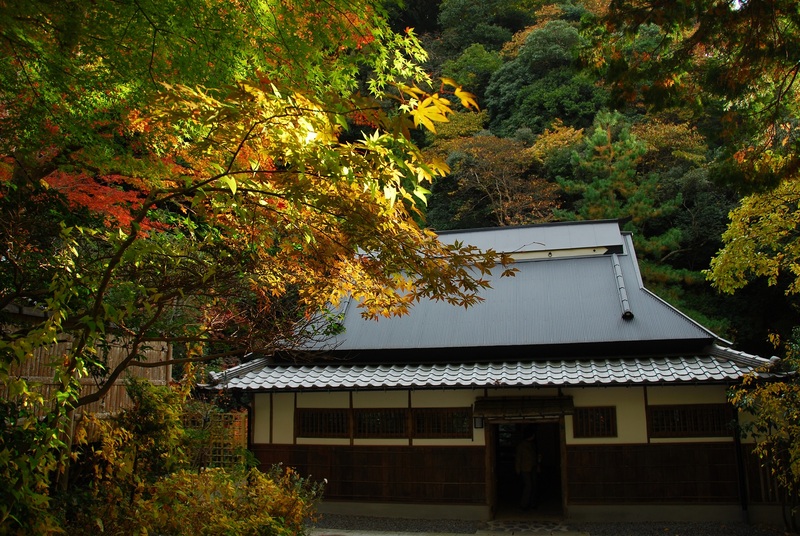 “Kesou-bumi” that is handed down in “Syoutengu Saiko-ji Temple” was a love letter with that an ancient people confessed their love to their partner. 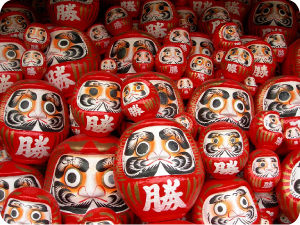 With “Kesoubumi”, don’t you tell your love to a parson you like? 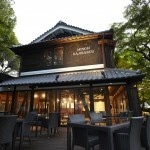 Have a lunch in cafes or restaurants where the taste of Meiji Period remains. 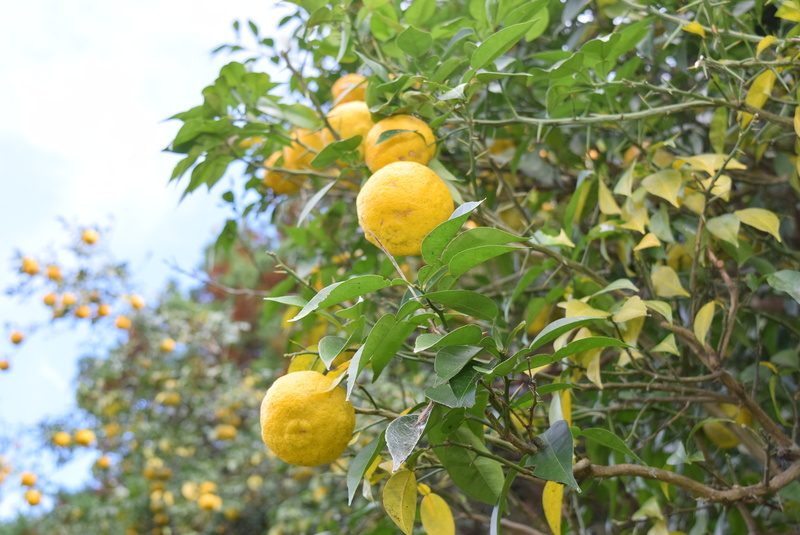 Along the way to the Waterfall of Minoh called “Taki-michi”, there are cafes and restaurants renovated old buildings such as “Otoha-sansou” and “Kajikasou” where you can taste “Wasyoku”, “Sushi”, Italian dishes. 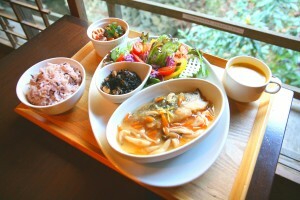 ※Reservation required for some cafes and restaurants. 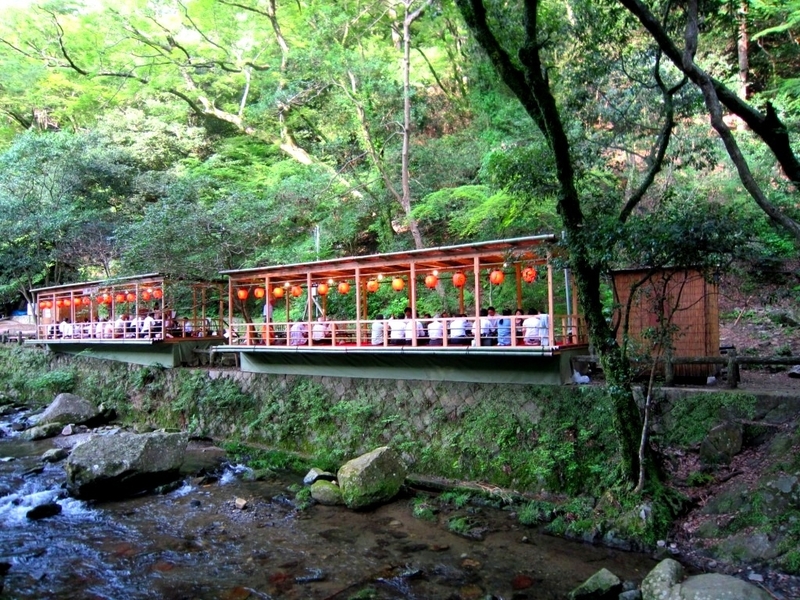 “Minoh Kawayuka”, where you can have a lunch and a dinner beside the Minoh-gawa River hearing the murmur, is very popular. 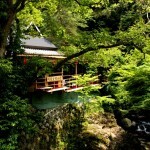 Rest for a moment hearing the murmur of river. 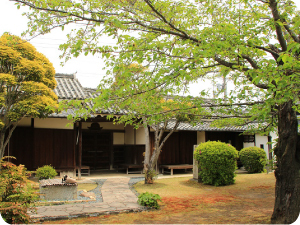 Walking for 3 minutes from “Ichino-hashi Bridge”, you will find “Ume-yashiki” which was renovated a structure of Meiji period. 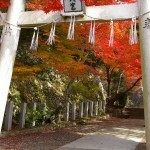 In the space where the old days tastes remain such as “Ajiro-zukuri”, how about taking a rest for a moment? 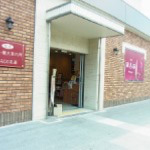 Visit unique insectariums in Osaka prefecture to observe various types of insect. 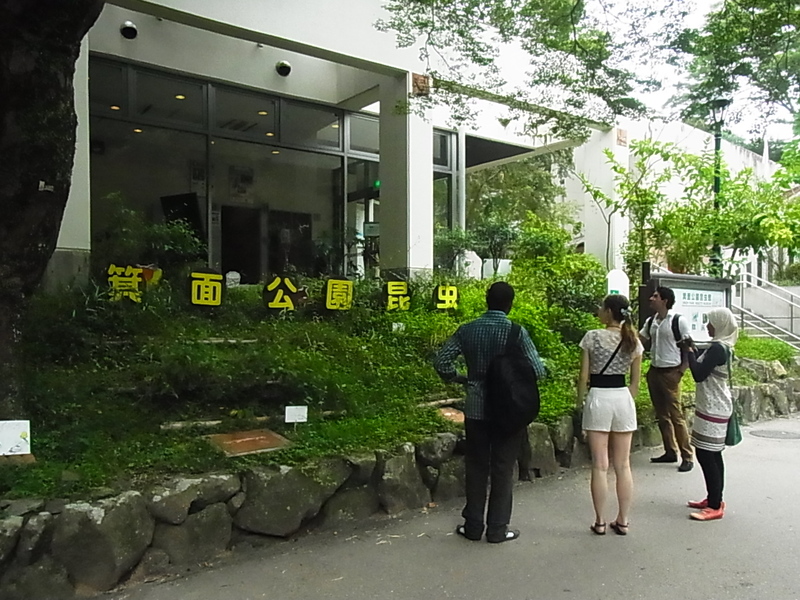 When you walk along “Taki-michi” (the way to the Water Fall of Minoh) hearing the murmur of the Minoh River, you will find Minoh Park insectariums on your left. 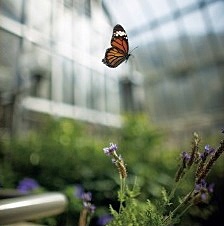 When you step in the butterfly room, you can watch various butterflies fluttering freely. In other rooms very rare insects are on display, so it’s fun to look at them one by one walking through the insectariums. 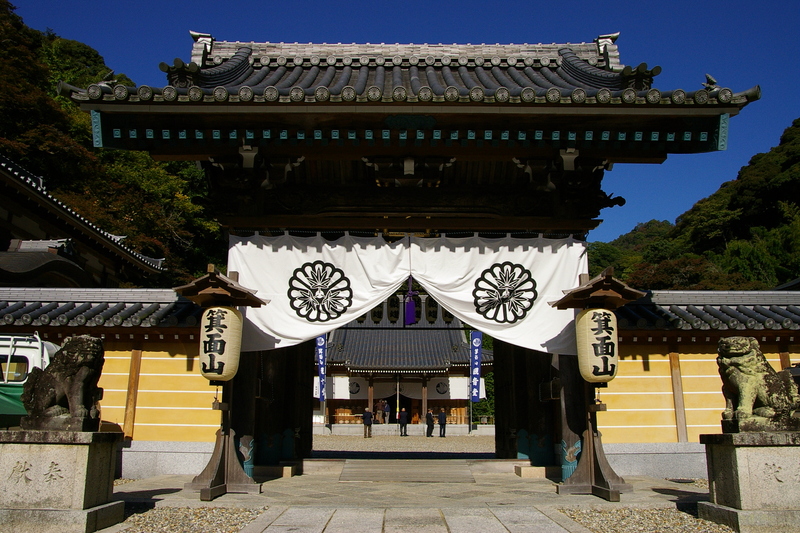 Next to the insectariums, there is a temple called “Ryuan-ji” where the origin of lottery is. 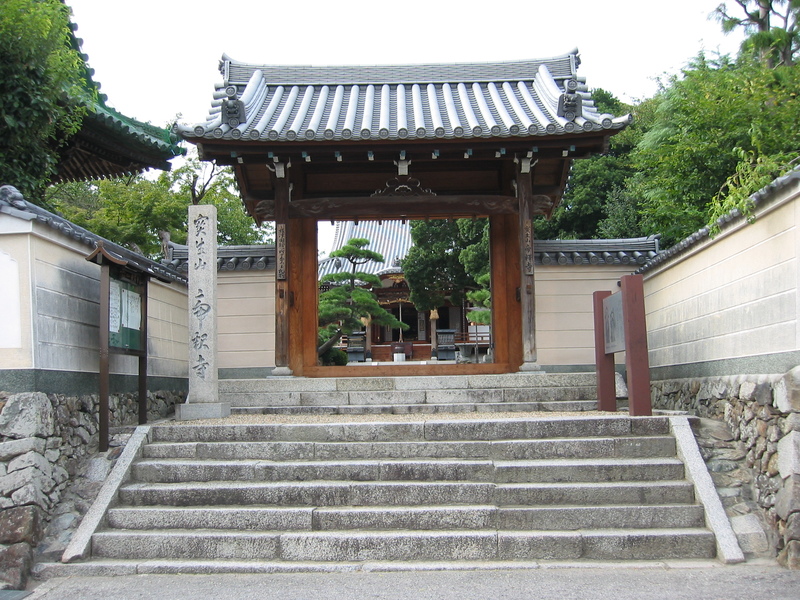 It’s said that the temple was founded by “Enno-Gyoja” (a legendary Buddhist monk practicing asceticism in the mountains). And also “Zuiun-bashi” (a Japanese-style bridge across the Minoh River) is vivid red color and a very popular spot to take pictures. 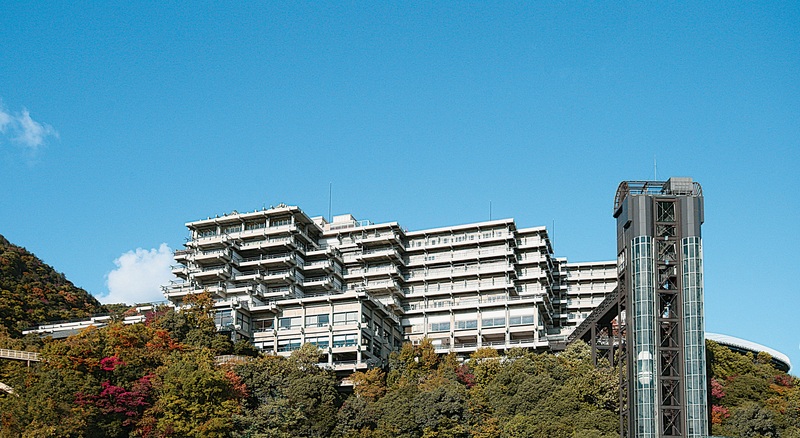 Find something important for life by learning about the career of Japanese industry founders. 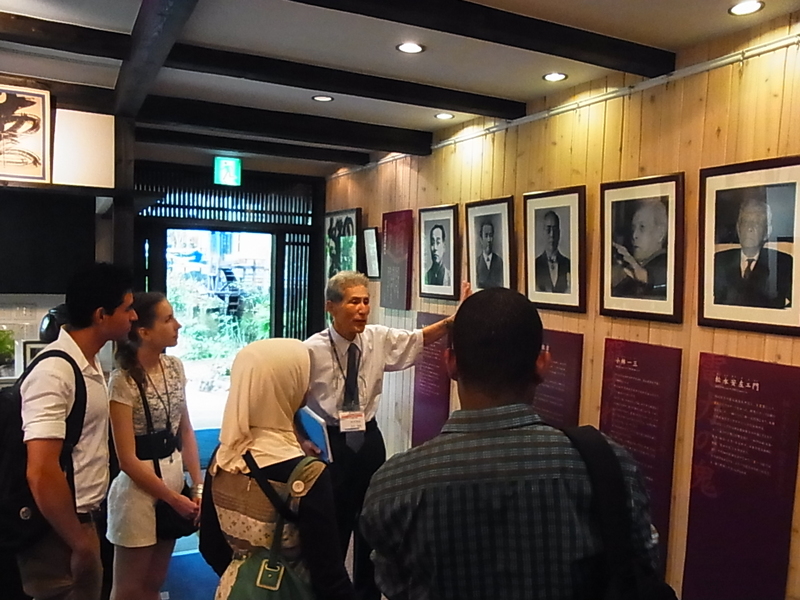 On the way of “Taki-michi”, there is a place called 「Gakumon no Michi Jisyudou」 where you can learn about the career of Japanese industry founders such as the president of HONDA, TOYOTA, SONY and more. All their history and words could give you some hints helping for your life. 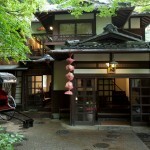 Why did Hideo Noguchi, who is printed in the bill of 1,000 yen, visit Minoh? 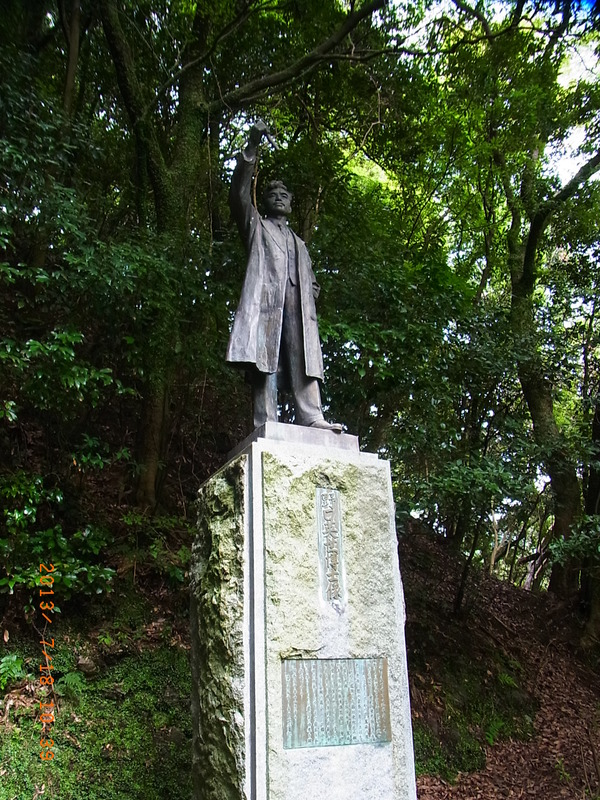 Noguchi Hideo is world-famous for the study of yellow fever. When he came back to Japan from United States of America temporarily, he visited Minoh with his mother and invited her to “Ryotei” (high-class Japanese-style restaurant). His statue was erected in 1959 for admiring his achievement and noble personality. 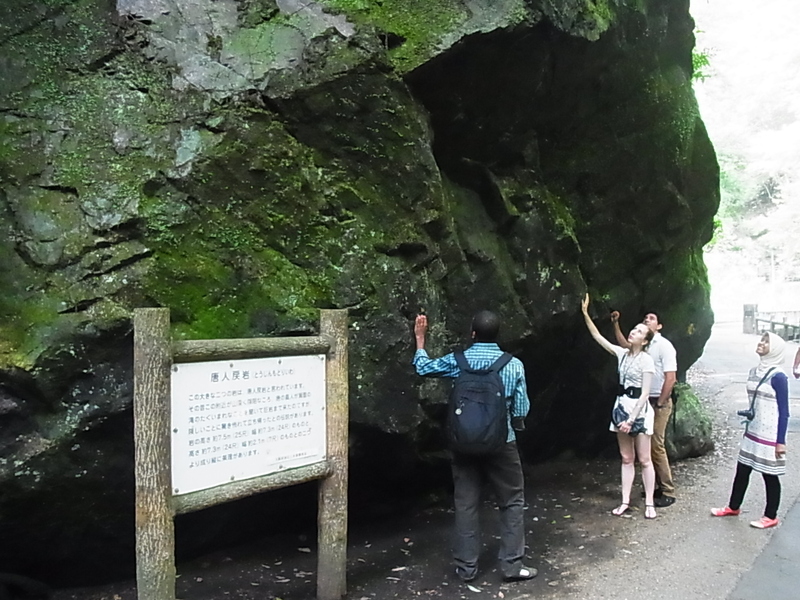 There is an enormous and legendary rock called “Tojin Modoriiwa” near the waterfall. 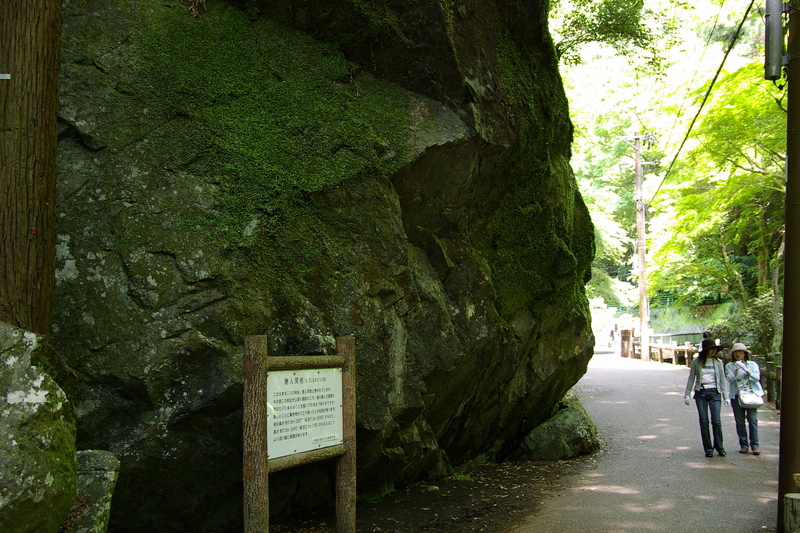 An enormous rock appears as if it blocked “Taki-michi” near the water fall. It is said that in past days it is too much huge that an envoi of Chain who was going to see the waterfall stopped marching forward. 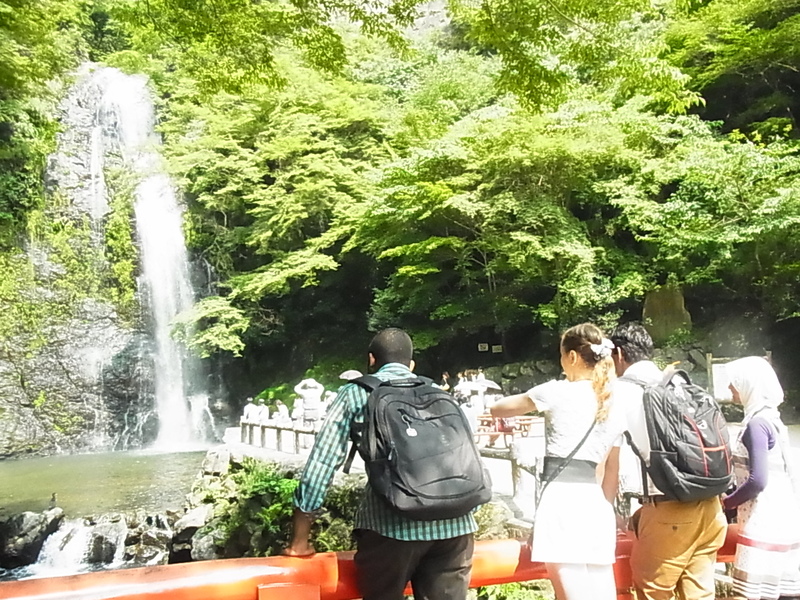 In the end of Taki-michi you will find the waterfall finally. 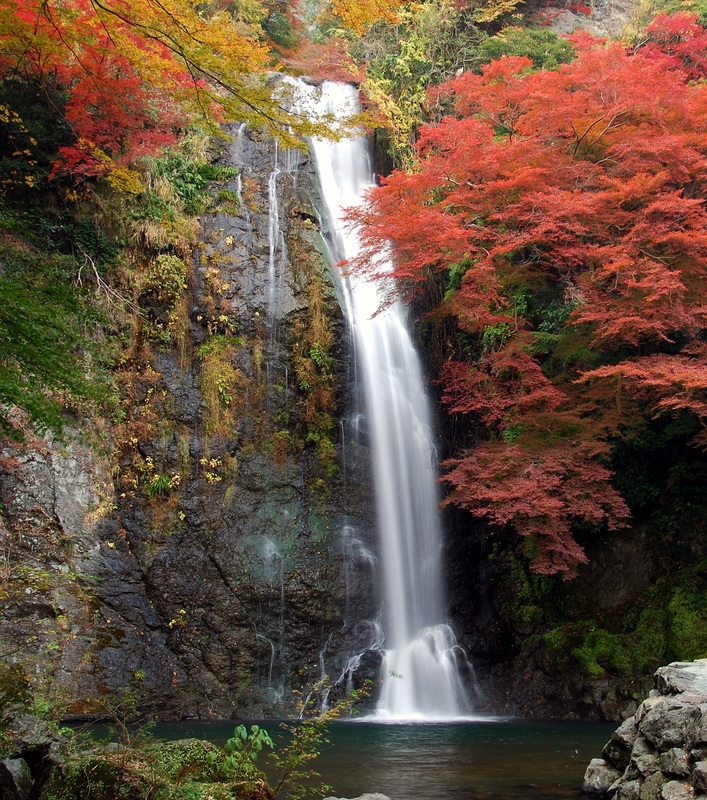 The waterfall has a difference of 33 meters in elevation and is chosen for one of the 100 great waterfalls of Japan. It is sure that you feel the great nature with dynamic flow, the roar sounding to the ground and the spray covering you. 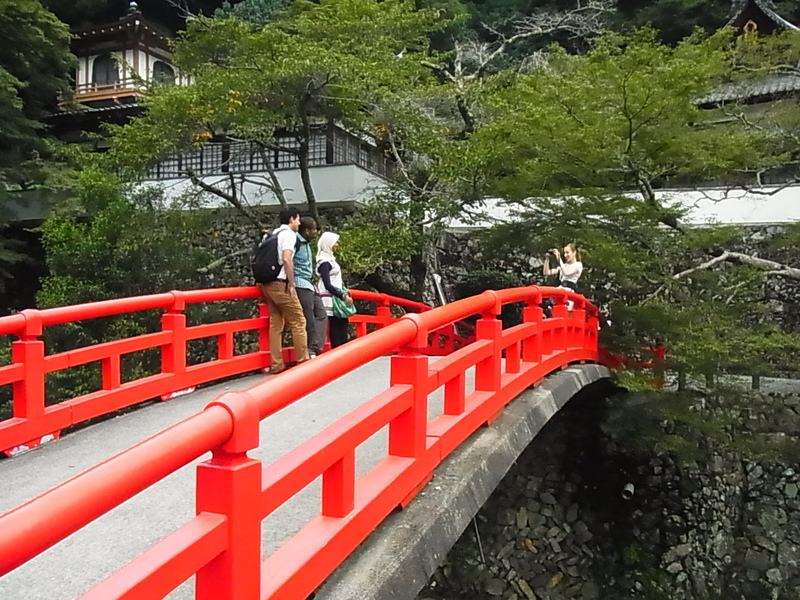 “Takimi-bashi” (a red color bridge) is the best spot to take pictures. 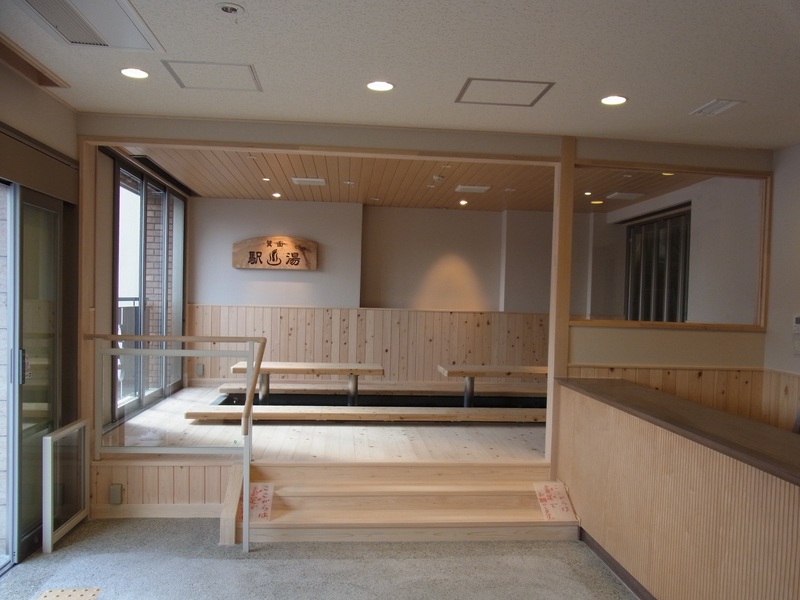 If you feel tiredness after the return, it is a good idea to soak in a hot spring to relieve fatigue. 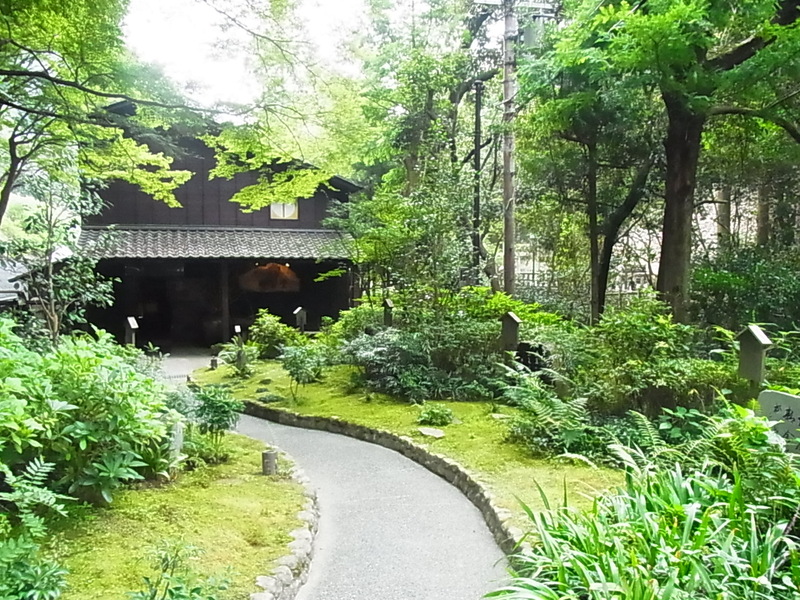 “Minoh Onsen Spa Garden” and “Momiji no Ashiyu” (foot spa) are recommended.